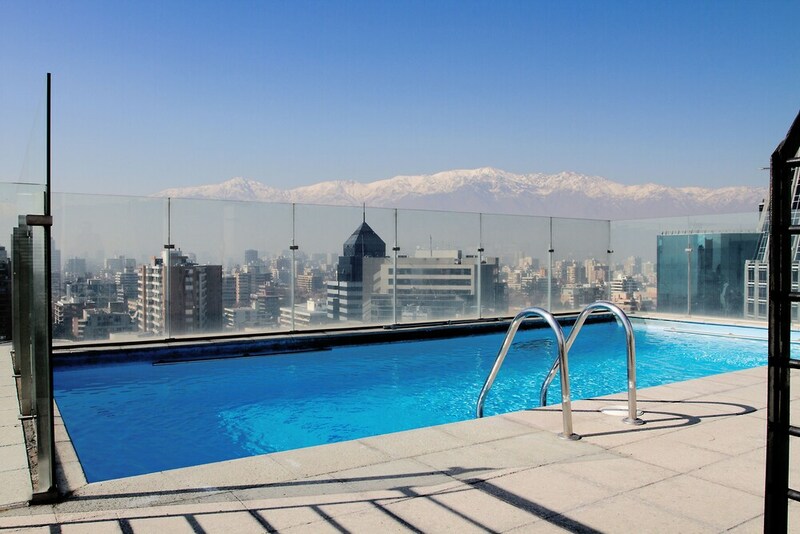 With a stay at this apartment in Santiago, you'll be within a 15-minute drive of Costanera Center and Plaza de Armas. This apartment is 3.4 mi (5.5 km) from University of Chile and 3.8 mi (6.1 km) from National Stadium. Make yourself comfortable in this air-conditioned apartment, featuring a kitchen with a full-sized refrigerator/freezer and an oven. The apartment has a Select Comfort bed and a sofa bed. There's a private balcony. A 32-inch flat-screen television with cable programming provides entertainment, while complimentary wireless Internet access keeps you connected. A private bathroom with a shower/tub combination features a deep soaking tub and a hair dryer. This apartment features an outdoor pool, tour/ticket assistance, and concierge services. Wireless Internet access is complimentary. This Santiago apartment also offers laundry facilities and an elevator (lift). Onsite parking is available (surcharge).